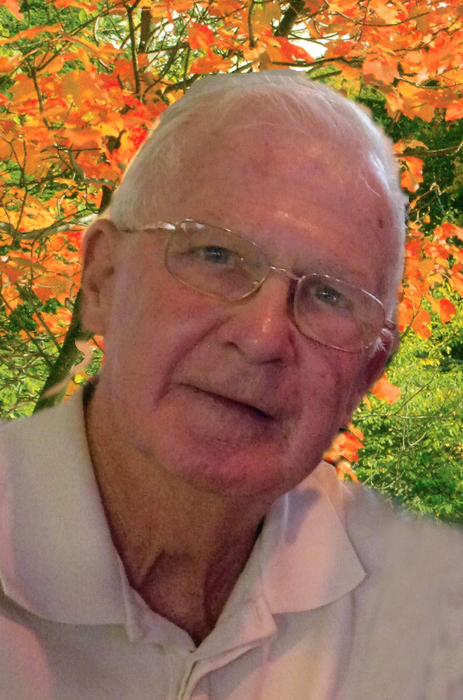 Maurice “Moe” Lamontagne, 79, of East Waterboro and formerly of Biddeford, died Thursday, October 25, 2018 at Maine Medical Center. He was born August 30, 1939 in Berlin, NH, a son of Edward and Irene (Bernier) Lamontagne. He came to Biddeford as a child and was educated in St. Andre’s School. On May 29, 1965 he married Dolores Palardy in St. Andre’s Church. As a young man he worked in local shoe shops; for most of his working life he was employed with his brother at Emile Lamontagne Plumbing and Heating. Retiring from there due to health reasons, he worked at Colonial Shoe for ten years, retiring in 1996. Moe was an accomplished woodworker and furniture maker. He enjoyed boating, gardening and walking. He enjoyed engaging people in conversation. He was predeceased by a son, Joel Lamontagne in 1975, granddaughter Alivia Welch in 2012, also by siblings, Rita Lessard, Marcel, and Robert Lamontagne, a brother-in-law Benoit Palardy and a sister-in-law, Doris Lamontagne. Visiting Hours will 4:00 to 7:00 p.m. on Tuesday, October 30, 2018 at Hope Memorial Chapel, 480 Elm Street, Biddeford, ME 04005. A funeral mass will be held at 10:00 a.m. on at Wednesday October 31st at St. Joseph’s Church. Burial will be in St. Joseph’s Cemetery. To share condolences online, please visit www.HopeMemorial.com.